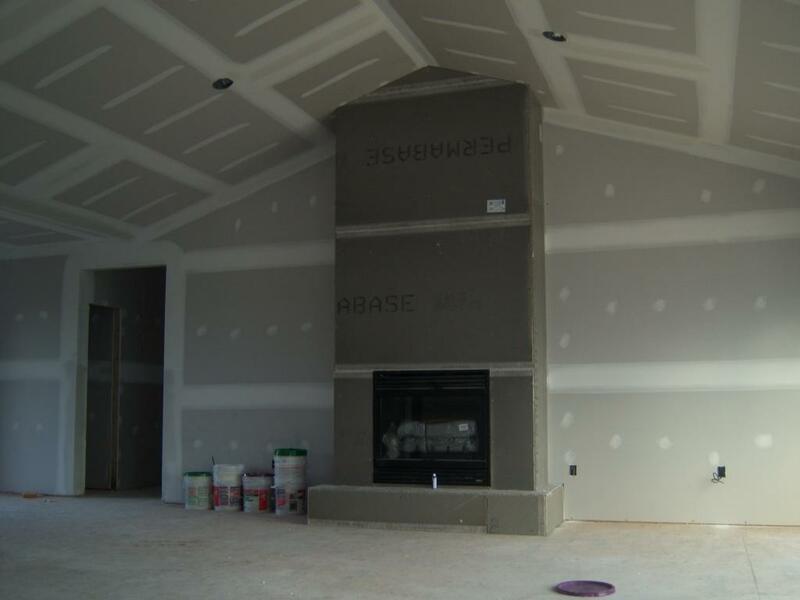 We didn't realize how tall the Great Room was going to be or how big the fireplace was until we took this picture !!!! 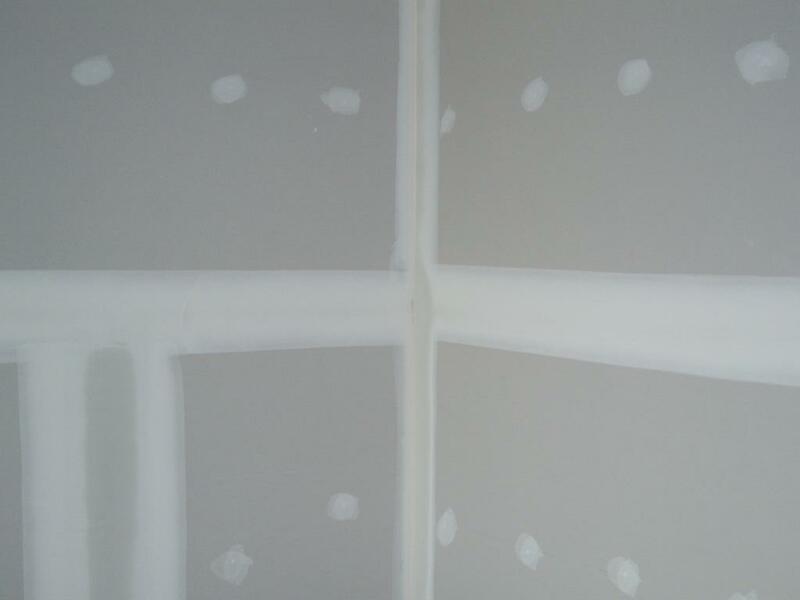 I took this photo to show how drywall seams should be applied. 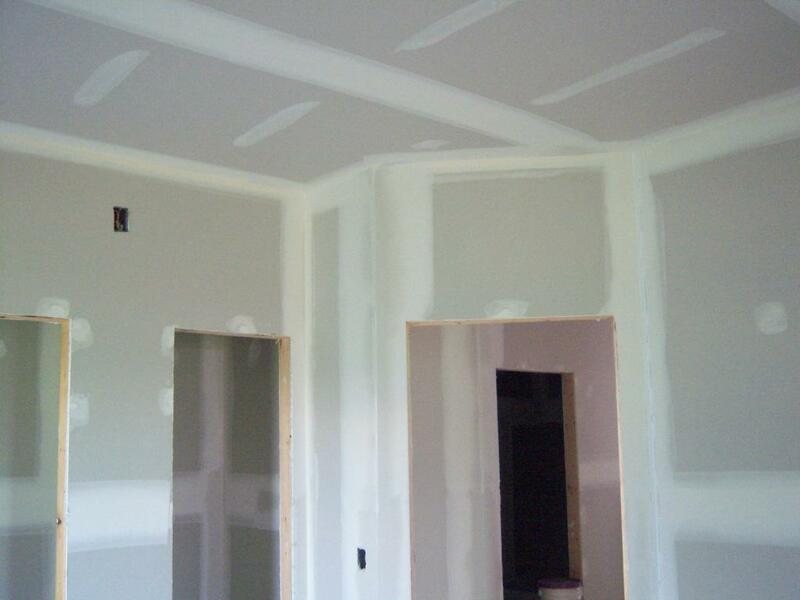 Unlike most installers, Bob's guy uses a machine to install the drywall joints. The machine makes a PERFECT seam !!!! 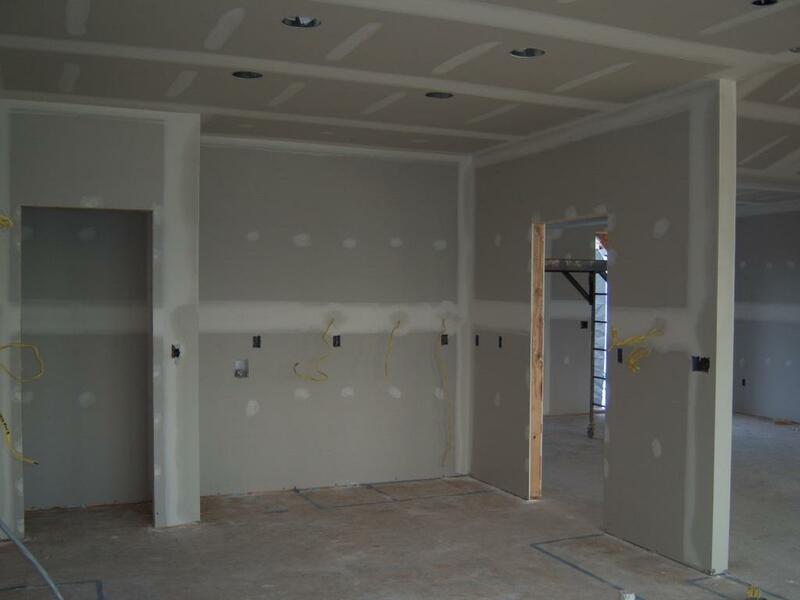 Here's a shot of the Kitchen area looking from the back of the Great Room. 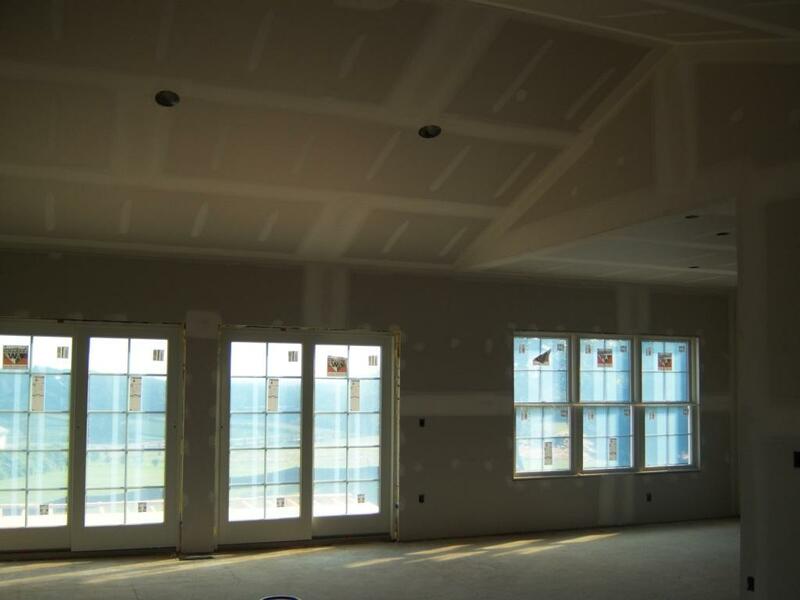 This shot is from the Front Door area looking into the Great Room. This used to be the Lounge. 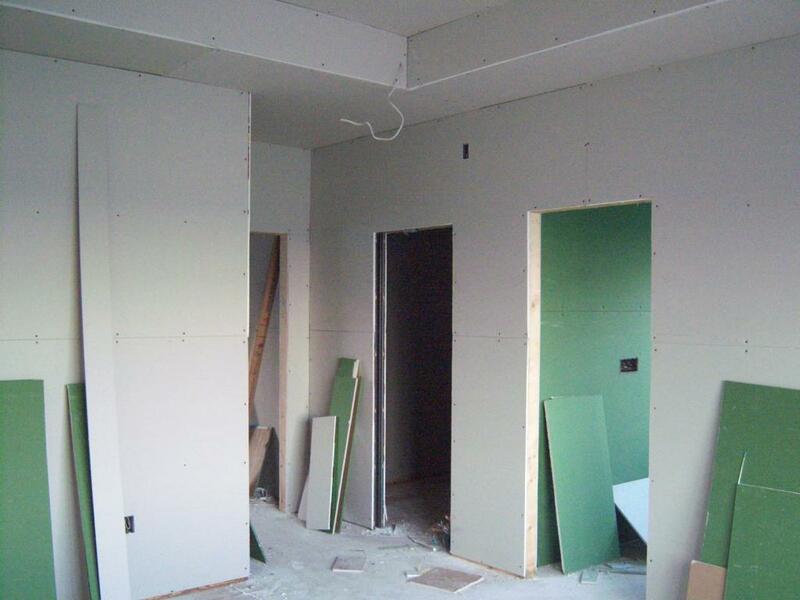 But after the drywall went in, Debi had an "epiphany". It's now the Dining Room (again), and it's 10 1/2 feet tall. The Lounge has been "moved" to the back of the house off of the Great Room and Kitchen. A shot of the Guest Bath. 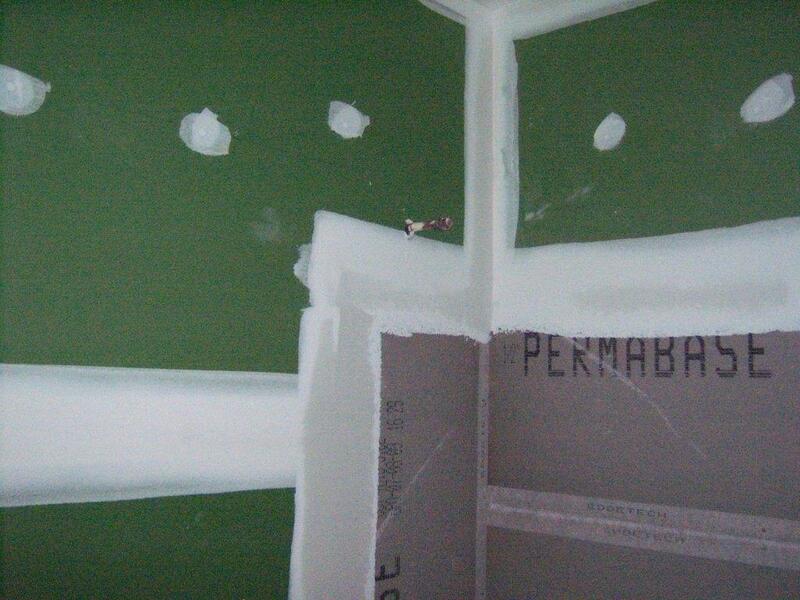 The green drywall is required in all bathrooms as a moisture barrier. 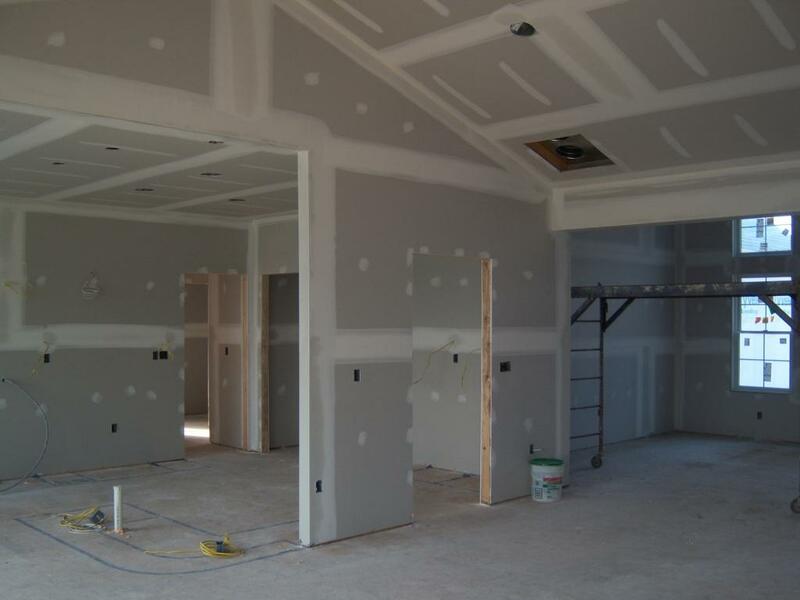 The dark grey drywall goes behind all of the bath/shower areas and is actually made of cement. Here's another shot of the Kitchen looking back to the Front Door. 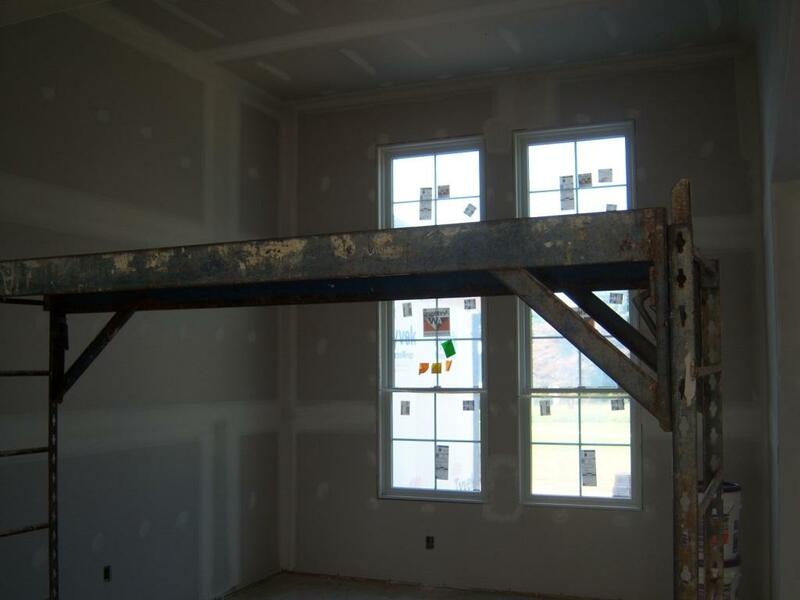 A shot of the Guest Bedroom. Looking from inside the Bedroom, the bedroom closet and Linen Closet are on the left, with the door to the right.